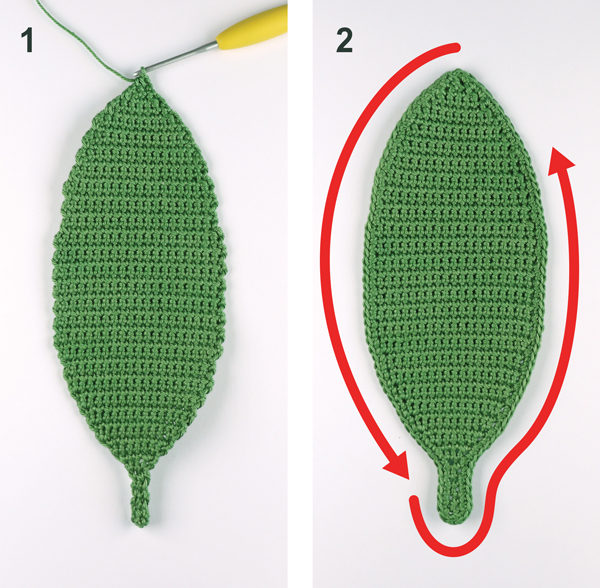 This is a free crochet tutorial for the leaf board. You need a crochet hook size 2.5mm (US number 1.5), a tapestry needle and some dark and light green yarn suitable for this size crochet hook. 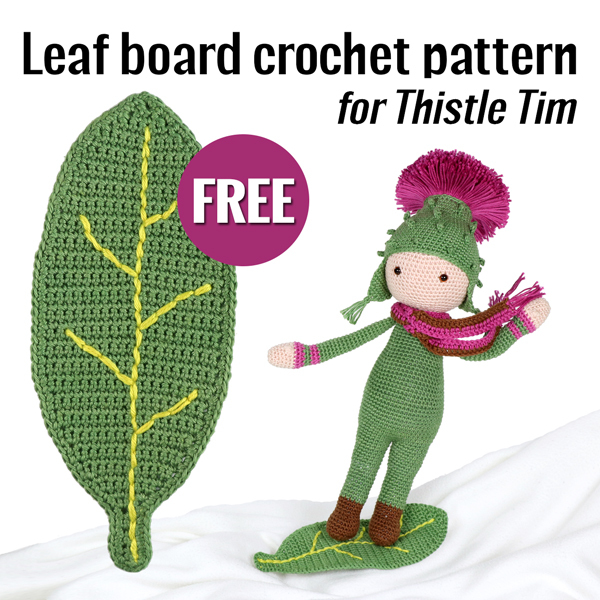 If you have already made the Thistle Tim flower doll crochet pattern, use the same hook size and yarn weight. 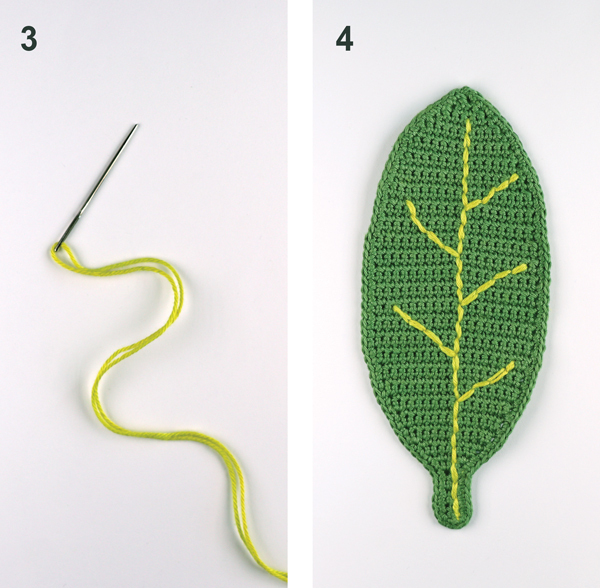 The leaf is crocheted in rows and you make a turning chain after each row. These turning chains are not counted. Now start and enjoy! Do not cut the yarn, but continue to crochet a border all around the leaf by making 53 sc, 2 inc (bottom of the leaf), 54 sc and finish off by weaving in the ends. Take a tapestry needle and thread a light green thread. Embroider the pattern on the leaf and make sure you embroider with a double thread to make it nice and thick so it stands out. Now your leaf is all done and Thistle Tim can go snowboarding. Have fun!